This time we will talk and take a close look at Bill Gates the founder of Microsoft company, a figure that has always been the world's attention. The richest man in a long time, even the number one position as the richest man is difficult to be displaced replaced by others. Bill Gates has only shifted his position several times, but he can still retake the number one position as the richest man. The figure that can generate a lot of dollars from the creation of Microsoft. Until now (February, 2018) Bill Gates is still ranked number 1 richest man in the world by Forbes, followed by Warren Buffett and Jeff Besoz in positions 2 and 3. Rich very.. very.. RICH !!! Because of the wealth and size of the assets, if he want to buy a new car, Bill Gates just needs to come and chat for a few minutes with the sales department and then come home with a new car without loosing his money. Because over time (such as time chatting with the sales above) then at the same time his wealth continues to grow from the income of his company and the investment he has. Back then, Bill Gates did some research and discovery together with his friends, even when he was at college he already liked computer. He initially chose a law degree at Harvard, but he switched majors to mathematics and computer science. His full name is William Henry Gates III, born in Seattle, Washington, United States. Born on October 28, 1955. In 1994 Bill Gates married Melinda Gates and was blessed with 3 children. From childhood and teenager Bill Gates has shown his intelligence. He is fond of reading and studying diligently, even he managed to read the entire 'World Book Encylopedia' as a teenager, very smart and fast in absorbing what he learned. He is also an active person and does not like the restraints. He loves to do extraordinary things beyond the habits of his child ages. At the age of 11 He actively asked about business topics to his father, a tough discussion for his age. Together with Paul Allen, he founded a software company called Microsoft. Around 1975 when Bill Gates and Paul Allen were both in school, they both prepared the first software program for microcomputers. They belive that softwares will be the future business in the world. From here the Microsoft era begin. In 1970 Bill Gates and Paul Allen wrote the AAS tair BASIC device for the Altair 8800 in the 1970 baseball. Altair himself is a successful personal computer. Inspired by BASIC, a computer that is easy to learn and write in the Dartmouth college to teach, the Gates and Allen versions later became Microsoft BASIC, the ultimate computer translation language for the MS-DOS computer operating system that became the key to Microsoft's success. 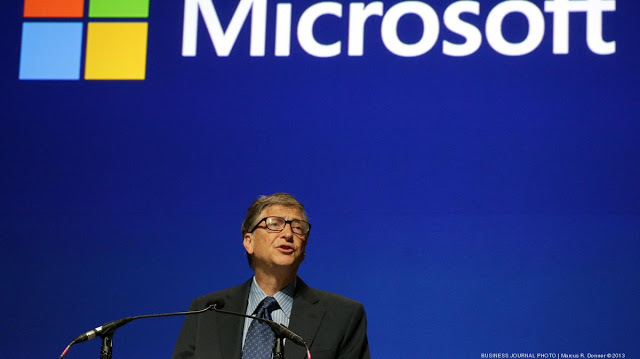 Sometimes Bill Gates compared to Apple Founder (Steve Jobs) because of their competition in the technology business, although when viewed from the value of business and products this competition seems unbalanced because Microsoft has a wider market coverage and variation. But it also did not last long because Steve Jobs died in 2011. Microsoft was finally founded in 1975. Bill Gates chose to drop out of his campus and focus with Microsoft, establishing the company in computer software industry, which is now used to almost all computers in the world. 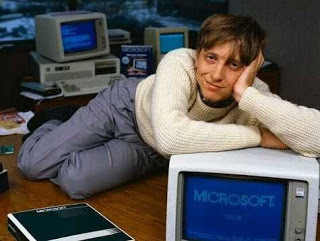 In the era of the 1980s Bill Gates began a computer revolution. In 2000 Bill Gates founded the Bill & Melinda Gates Foundation and resigned from office as the highest executive officer at Microsoft, but he still serves as chairman. At the end of his career he undertook philanthropic endeavors and donated money to various charitable organizations and scientific research programs. He devotes the rest of his life to humanity and through his foundation he distributes the money he has to the more needy. 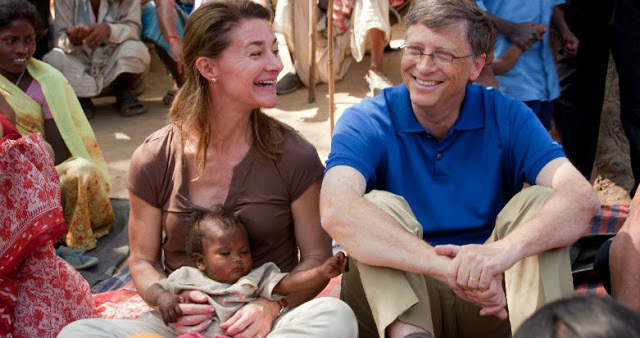 In addition to his home country (United States), Bill Gates also often donate a very large amount of donations through his own charity Foundation. Based on the observations from Ri-Techno internal team to the foundation that founded by Bill Gates and his wife has helped thousands and perhaps millions of people around the world, such as polio vaccine in African countries, provision of sanitation facilities or the availability of clean water, and many more run by the Foundation. 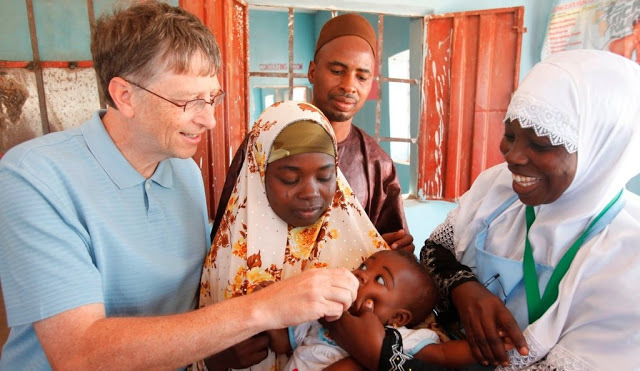 In line with its commitment in the social area, Bill Gates through his Foundation recently reportedly paid the US $ 67,000,000 Nigerian State debt to Japan for polio eradication in Nigeria. 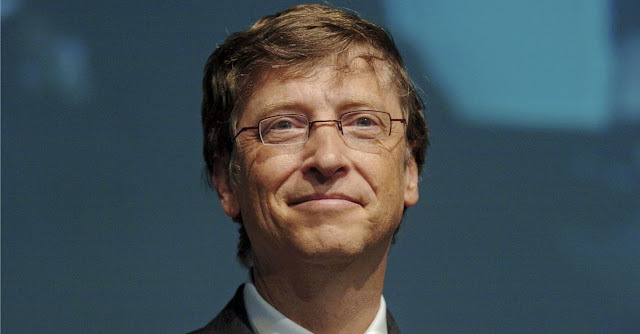 However until now Bill Gates is still ranked one of the richest people in the world, and even ever in a row to occupy the position one as many as 21 times in America. He is one of the famous and richest people in the technological universe. There are so many positive things that can be taken from this Bill Gates figure as a lesson so that we can become a person and also a world-class businessman. Hopefully this article about Bill Gates the Founder of Microsoft can provide some inspiration for you guys. If you have any questions or responses to this article please post comments via comment box below as usual :) keep being a wise user! #beWiseUser! Jeff Bezos Amazon Founder and 3rd Richest People on Earth!